Special mention must go to the teachers, parents, and students of Granard National School, who under the force of nature that is school president, Marett Smith created an amazing cake sale (see photos below) that on its own raised a whopping €1100!!! BUT Marett also brought her tenacious direct marketing skills to one of our Pairs of All Ireland ticket Draws generating well over €3000 and with a couple of generous donations the amount raised was rounded up to €5000. 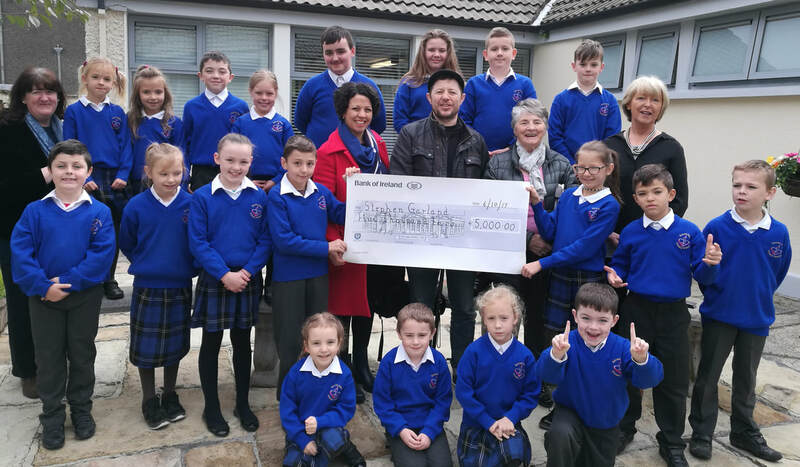 While Marett was the driving force there was a lot of effort given by many people in both these fundraisers, and we were delighted to be presented with the BIG cheque for the €5000 in the school amongst the pupils. That cheque took us a long way on the road to to Russia!!! Thank you all so much and it was also so much fun and a very memorable day for Valeska Magalhaes and I as we both experienced our very first Cake Sale!! Some amazing work appeared and was proof that Pat is not the only baker in Granard!! !